When Leeds City Council approached ilk to get involved with the promotion of The Christmas Experience at Lotherton Hall, it’s safe to say we were more than a little excited to spread some festive cheer. The brief; to create a buzz around the local event that would act to profile Lotherton Hall as a visitor attraction, whilst also showcasing the event itself. Running throughout December, The Christmas Experience offered families in Yorkshire an enchanted experience inspired by traditional storytelling, as part of an authentic Christmas event that left visitors spellbound. Spread throughout the estate of the Edwardian house, visitors explored a magical Twelve Days of Christmas Walk, an Elf Village and a secret fairy hideaway. It was our job to bring the magic to life for journalists, bloggers and key influencers across the county. We compiled a strategic press office, complete with golden invites, media visits, press interviews and teaser media bites to engage our target influencers and spread the festive message amongst their audience. 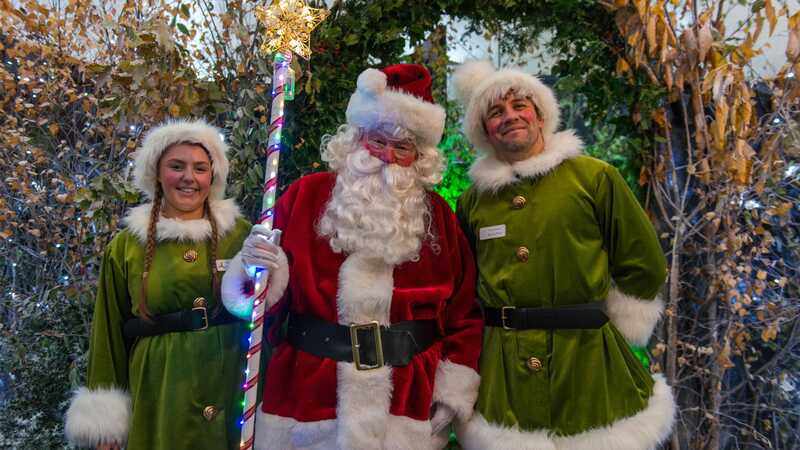 The result was 70 local, regional and broadcast media cuttings in the lead up to Christmas, 1,771,556 OTS and staggering ticket sales – with the Santa visits selling out within just two weeks and visitor levels peaking an all time high for December.